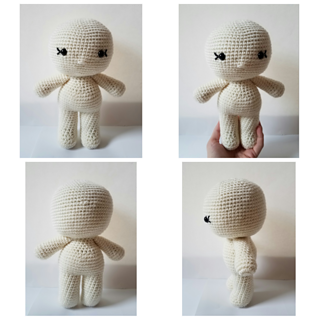 I strive to make my patterns as easy to understand as possible, so there are lots of helpful pictures included! 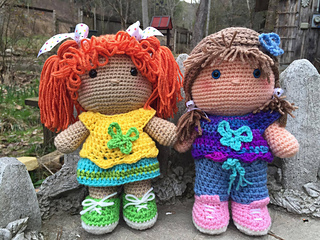 These adorable dolls stand at approx. 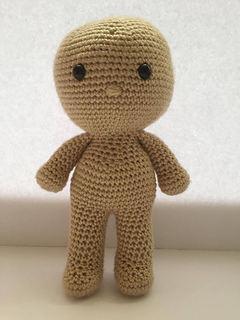 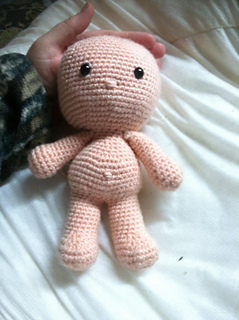 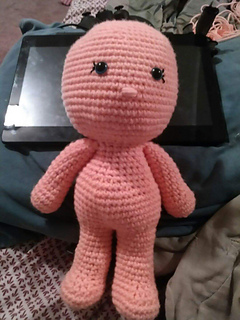 11” tall with a head circumference of about 15”, but that also depends on yarn and hook used. 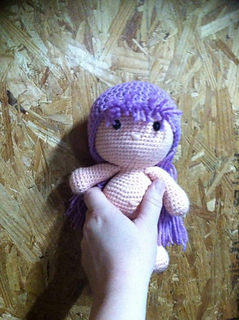 This pattern has been tested by 4 fellow fiber artists. 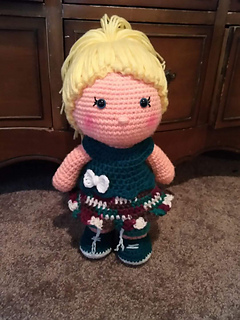 Big thanks to Sandy Nordwall Eggers, Wendy Blakely, Mindi Will, and Stephanie Robson-Zana for testing for me and letting me use their adorable pics! 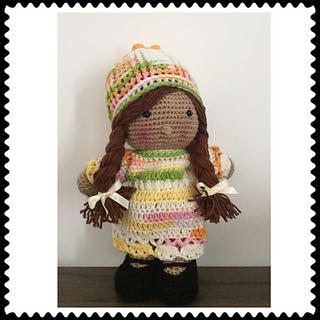 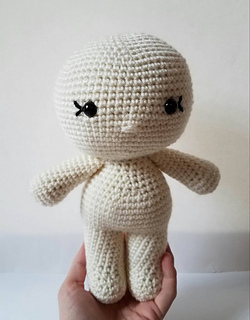 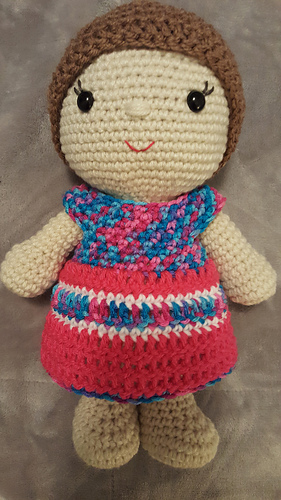 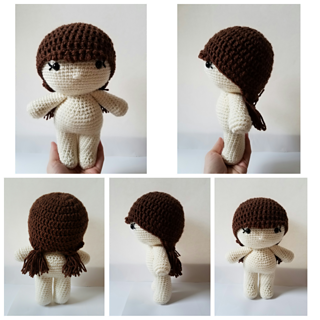 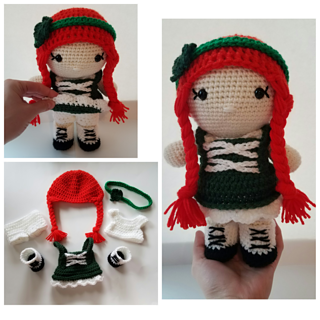 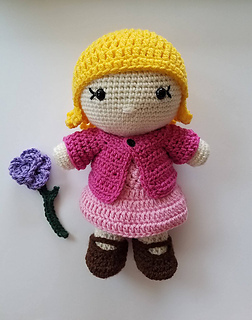 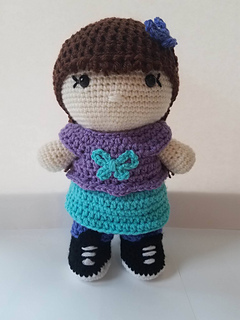 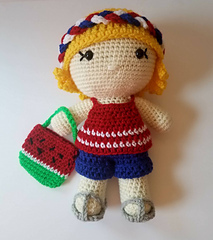 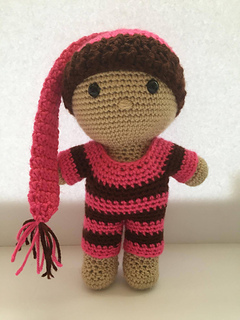 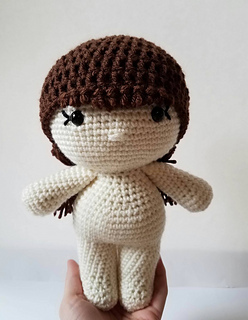 You can find my Maddy Doll and all of her accessories that will also fit my Emily Doll in my Ravelry Shop!